What do you think? 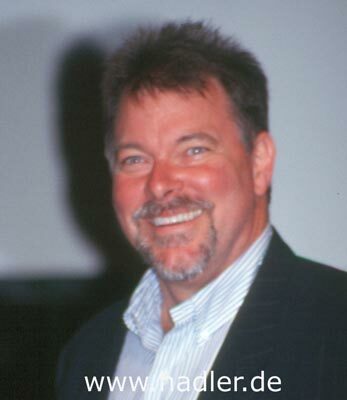 Frakes is from Norse vikings in Scotland. Last edited by Rodskarl Dubhgall; Friday, May 28th, 2004 at 12:34 AM. You forgot to post a picture. Look, look, look what's in front of me, open your eyes so that you may see. Now, here's a fellow who looks totally strange to my eye. I've never seen such a face/phenotype/pigmentation combination in central or southern Europe. I'd classify him as a Paleo-Atlantid mixed with some Borreby strain. Hmm, he reminds me of some Faroese people, albeit an admixture of Scandinavian/British(he's 6'5"). He is a type I have seen within my own family(much lighter hair colour though) including a few baby pictures of mine. He seems hardly strange; in fact, sometimes, when my dad was working, I'd forget that guy wasn't my dad(talks like him as Cmdr Riker) when I saw reruns. He was also on the Waltons. Last edited by Rodskarl Dubhgall; Friday, May 28th, 2004 at 01:22 PM. I always thought he was a good example of a Borreby, similar to the late Robert Urich. I would expect he would look right at home in Denmark and even Scotland. A more sobering view of what a viking commonly looked like. You know, I see where people get confused about the ethnicities of the vikings in the isles. The Danes ruled Norway's southern area, and so would consequently rule areas settled by Norse. Kiefer and Donald Sutherland look Danish, and their side is from northern Scotland. My own are from Northumberland, but I have Troender/Brunn. Interesting. Borreby, but his convex, beaklike nose is not usual among Borreby types. I seem to remember he put on quite a bit of weight as TNG progressed. When I have time, I'll see if I can find a pic of him in the early episodes, when if memory serves me correct, he might have displayed a more gracile appearance. He was underweight and out of shape! What do you expect of the man? I was that way too, but I'm putting on weight as I get older, and I feel more powerful too.